Blissfully private, lush landscaped grounds with resort-worthy amenities brings the vacation to you! 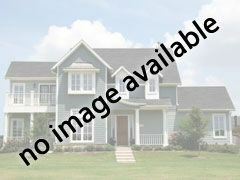 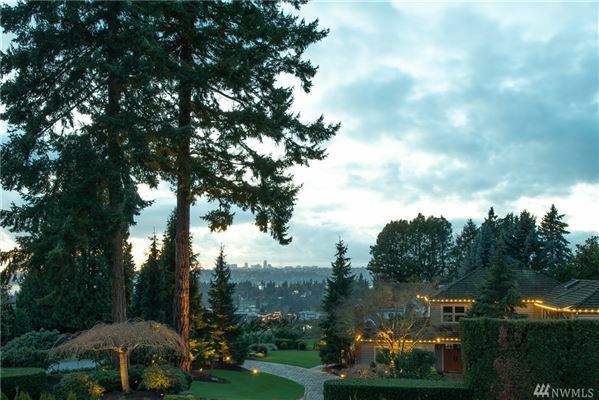 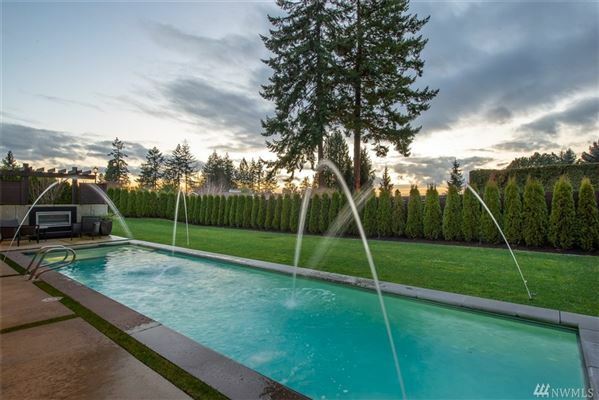 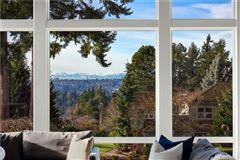 Sited on the apex of Clyde Hill with surprising views of the Seattle skyline unfolding to the west. 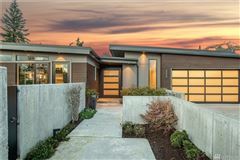 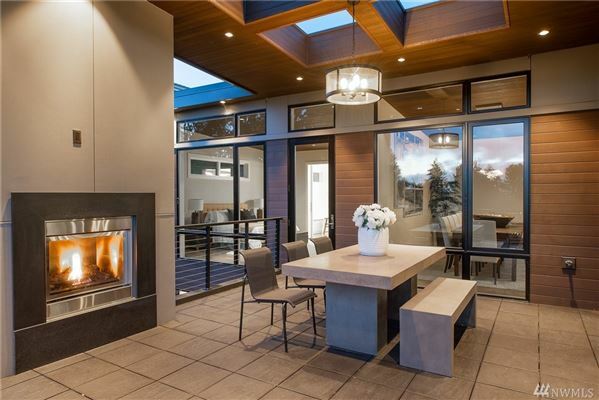 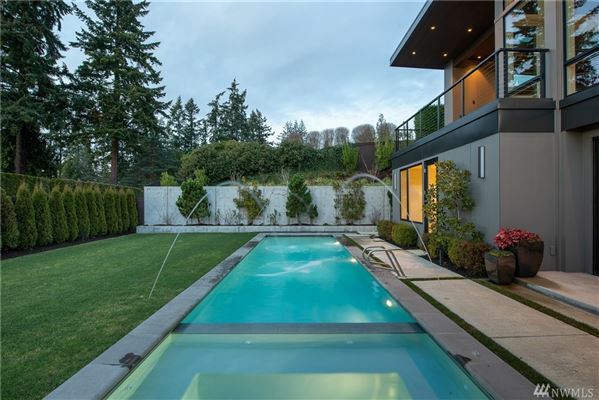 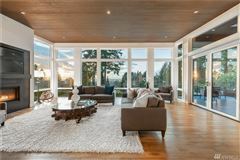 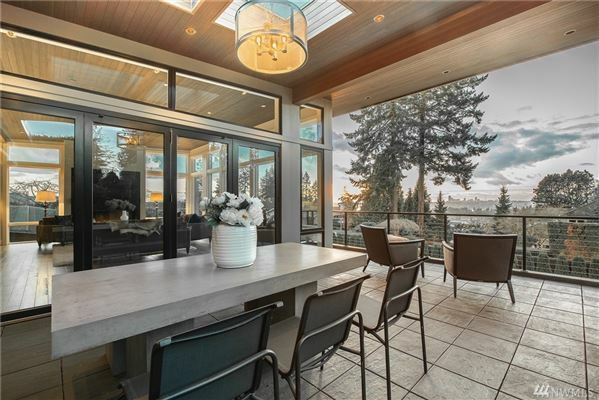 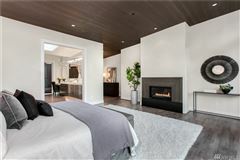 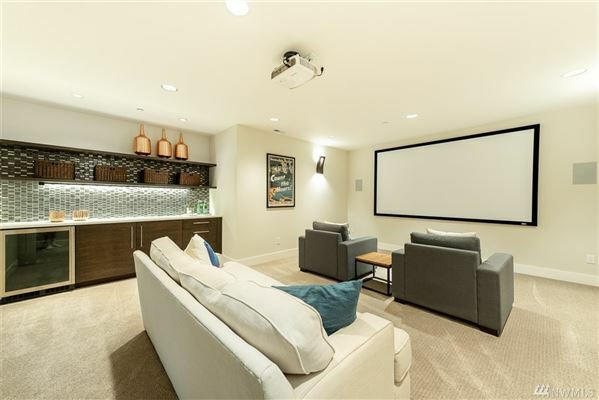 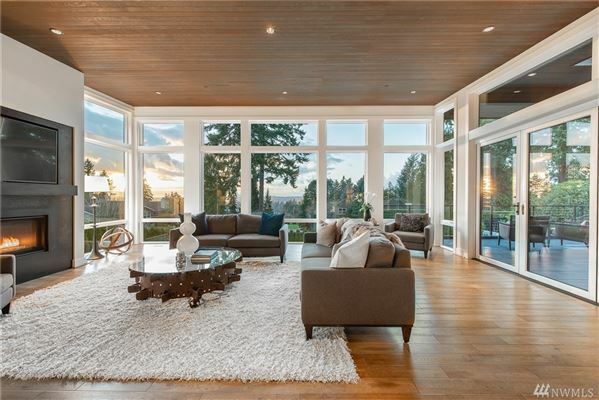 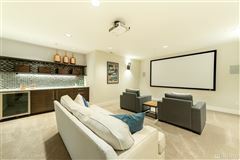 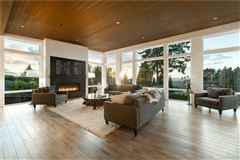 Nana walls open from the living room out to a sprawling covered deck and outdoor fireplace with the Space Needle and Olympics beyond, encouraging seamless indoor/outdoor year-round living. 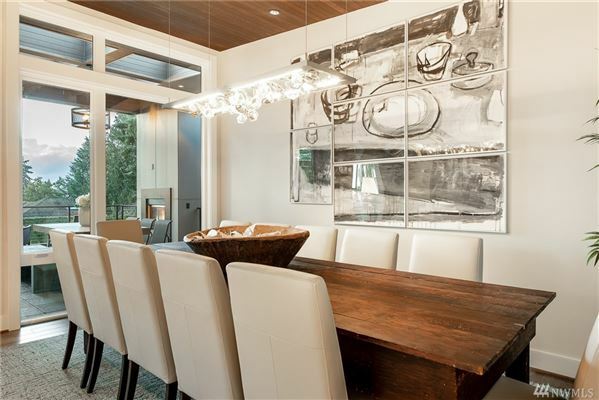 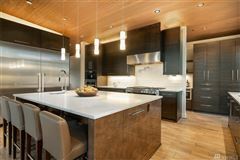 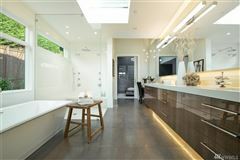 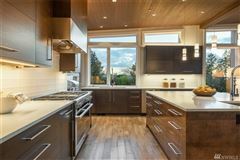 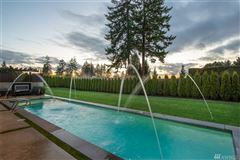 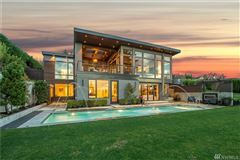 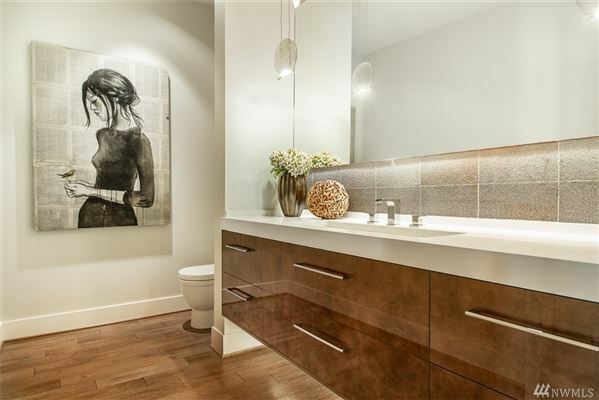 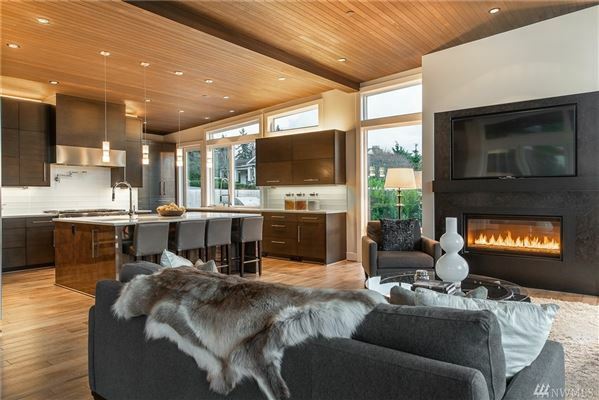 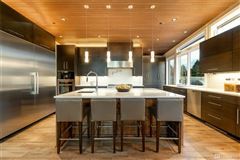 Striking Northwest Contemporary curated by Gayteway Custom Homes and the keen architectural hand of Baylis Architects.